As the sole digital radio broadcast technology sanctioned for use in the United States by the FCC, HD Radio has achieved a great deal of market penetration since the first station went digital in 2003. Getting the technology into cars via the OEMs proved to be a wise move, considering the large percentage of the radio listening audience that only listens while behind the wheel, but the road has been far from smooth in the intervening years. HD radio has been around for a long time, but how many people actually listen to HD radio versus traditional analog broadcasts? Slow is a relative term, to be sure, and iBiquity has definitely made inroads in terms of the consumer install base. For instance, one in three new cars sold in 2013 included an HD Radio tuner. By 2018, that climbed to nearly one in two, or 50 percent. However, that still leaves a lot of older vehicles driving around out there with analog radios and no compelling reason to switch, especially with options like Internet radio available. As a direct comparison of the two, in 2012 about 34 percent of Americans reported listening Internet radio—including both services like Pandora and online streams of AM and FM stations—compared to about 2 percent that reported listening to HD Radio. The bigger issue is the adoption rate of HD Radio broadcast technology, since you can’t even use an HD Radio if nobody is using the technology to broadcast a digital signal. Although the number of stations that installed the tech grew steadily between 2003 and 2006, fewer stations have made the switch each year since then. If you live in an area with good HD Radio coverage, then this isn’t an issue. For those who live in areas served by few, or no, HD Radio stations, the technology might as well not exist. At one point, the writing seemed to be on the wall for factory-installed radio tuners. And that includes both old school analog and high tech digital HD radios. In the early 2010s, several automakers reportedly committed to removing AM/FM radio, and HD Radio by proxy, from their dashboards by 2014. That didn’t come to pass, and car radio seems to have received a stay of execution, but the picture is still somewhat muddy. 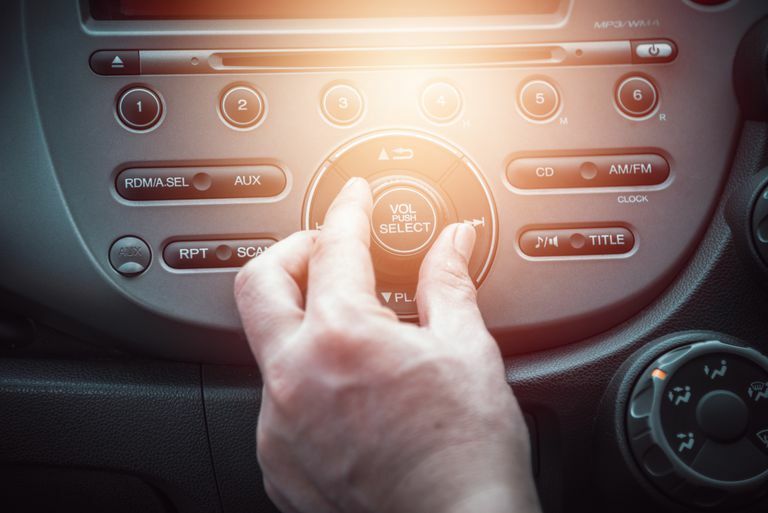 The radio industry as a whole and iBiquity, in particular, are reportedly working with the big automakers to keep radio tuners in OEM car stereos, but if the biggest names in the automotive industry decide to go another way, that could be it for HD Radio. Since most people who listen to radio do it in their cars, excising car radios from new cars could have disastrous effects. Due to the way that iBiquity’s in-band-on-channel (IBOC) technology works, stations that choose to use the tech essentially send out their original analog broadcast with two digital “sidebands” at the bottom and top of their allotted frequency. If the power allotted to these sidebands is high enough, it can bleed into the adjacent channels in the frequencies immediately above and below the station that is utilizing IBOC. When this happens, it can cause interference that destroys the listening experience of anyone who attempts to tune into those neighboring stations. This has always been a problem, with powerful broadcasters causing problems for weaker and more distant broadcasters, but the HD radio paradigm shift leaves less room at the table than ever before. In the same way that the digital sidebands can bleed into adjacent frequencies and cause interference, they can also interfere with their own associated analog signal. This is a pretty big problem when it occurs, because one of the most important selling points of IBOC is that it allows digital and analog signals to share the same frequency that was once occupied by only an analog signal. This is also a kind of catch-22 situation due to the fact that a low signal strength results in an HD Radio broadcast that nobody can receive, but a strong one can interfere with the analog signal, which is the one that almost everyone is actually listening to in the first place. People don't know what HD radio is, think it's related to HDTV, or confuse it for satellite radio. It's obviously hyperbole to say that nobody knows what HD radio is, but a surprising number of people actually don't. Other confuse it with satellite radio, or just aren’t interested due to the wide availability of internet radio and podcasts. During the initial push to get the technology installed in radio stations and in the hands of consumers, interest never even rose above 8 percent. That’s pretty dismal when you consider the fact that the radio industry itself experienced moderate growth toward the end of that period, despite facing stiff competition from options like internet radio and other online content. Of course, there’s probably a reason for the lack of interest. The cold, hard truth is that HD Radio is a format in search of an audience that never asked for it in the first place. Sometimes, envisioning an audience before it exists results in a competitive advantage, and entrepreneurs who are able to perform this minor miracle are often heralded as geniuses. In the case of HD Radio, with the sanction of the FCC, it seemed like all of iBiquity’s cards were in place to pull off a major coup in terms of capitalizing on a major new market. But in the years that have passed since IBOC was approved as the sole digital radio broadcast tech in the United States, things just haven’t panned out that way. HD radio is a very interesting technology, and it's worth checking out if you have a car with an HD radio tuner and live in an area with a lot of HD radio stations. If you don't, then there are too many great in-car entertainment options to lose too much sleep over it.